When you think of a facial mist, what springs to mind? Besides the way it cools the skin, keeps your makeup in place and provides a quick refresh during those scorching summer days – the defining factor of a facial mist for me personally, and of course, I’m referring to Avène’s Thermal Spring Water in this case, is the way it calms my redness and soothes the inflammation. 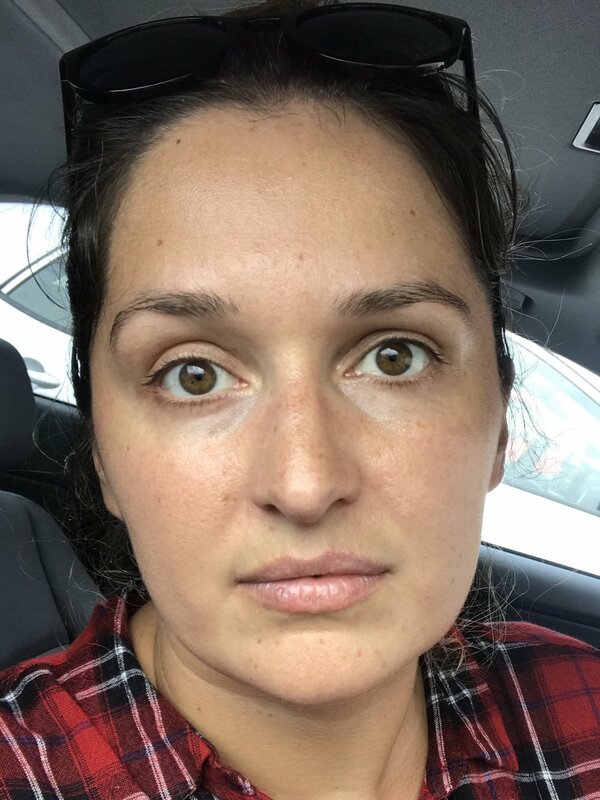 I’m very open about my mild form of rosacea that occurs on my nose and cheeks area. It flares up when you least expect it and is super uncomfortable; it itches, sometimes burns and gives your skin a hot, uneasy feeling. I use lots of facial products to ‘tame’ it but nothing works as quickly and effectively as the Avène Thermal Spring Water. I’ve used this spray for years so I’m no stranger to this miracle worker and now find it difficult to not incorporate it into my daily life. Having started a rigorous gym regime two months ago, (I do up to five sessions a week) meant that I needed a quick fix to perk up my skin but keep it under control. 1. Don’t be reluctant to use the spray after an intense workout – it’s safe to use on your face as well as your body. It cools your skin down and refreshes it within seconds. Hold the mist 15-20cm away from the area and spritz away. 2. Avène’s Thermal Spring Water is available in three different sizes: 50ml, 150ml and 300ml. I always keep one in my handbag (ideal for traveling, especially when flying), the medium size one in my gymbag (we all know why) and one next to my bed as my skin likes to go red sometimes before I go to bed. 3. It’s brilliant to cool down your body temperature after a hot shower! Ever since I’ve started working out, my body battles to get back to its normal temperature and when I apply makeup, little beads of sweat would form. The Avène Thermal Spring Water prevents this and keeps your skin under control. 4. Feel free to use the spray on babies and small children. It’s completely safe and suits even the most sensitive skin types. 5. Try the Avène Thermal Spring Water on your scalp too. It works wonders on sunburn and soothes it profusely, without making your hair look or feel dirty. *This article is sponsored by Eau Thermale Avène. Now, I want to hear from you! Have you tried Avène’s Thermal Spring Water before? How has it benefited your skin?